This post is part of a longer research paper. It was adapted for the Australia and New Zealand Studies Association Conference at the University of Texas in Austin on February 8, 2014. 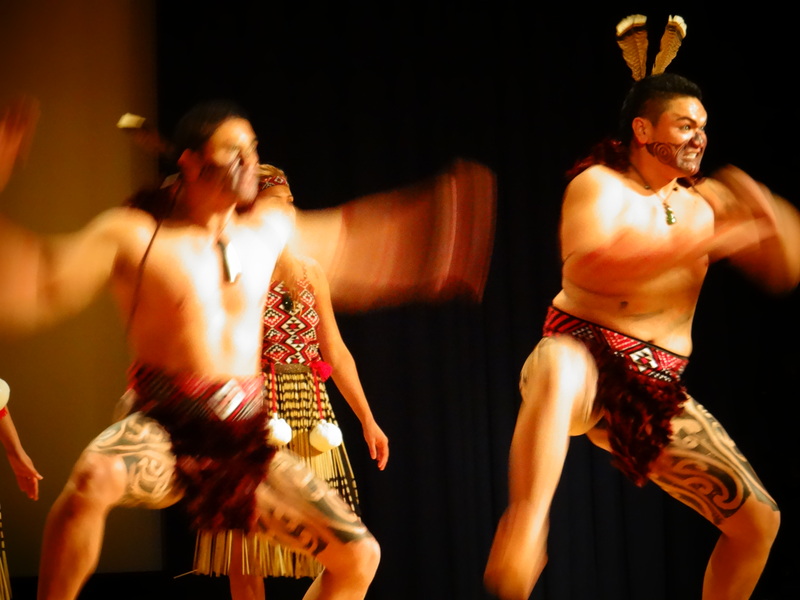 New Zealand’s agricultural sector not only makes up the majority of its exports but also constitutes an important part of the country’s cultural identity. Risk events related to Fonterra can have significant impacts and spillover effects as the world’s largest dairy exporter. An initially localized quality problem can lead to the perception of risk on a global scale. Fonterra’s experience with two major health risk events exemplifies the imperative of risk communication and management strategies for businesses and governments to cope with risk and show accountability to stakeholders. Tools of political risk analysis can help organizations to evaluate multi-layered risk situations, create risk communication strategies and mitigate spillover effects caused by social amplification. This essay compares the 2008 Sanlu melamine scandal and 2013 Fonterra botulism scandal through a risk analysis approach from the behavioral sciences. The latter provides political risk analysts a valuable tool to understand how society responds to new and unfamiliar technologies and risks, and how to manage them. In 2008, Sanlu’s information vacuum led to health problems and widespread social reactions, damaging firms and individuals. In 2013, early risk communication benefited public health but was detrimental to reputations of Fonterra and the New Zealand dairy industry; long-term effects of Fonterra’s risk communication are still unknown but are likely to be positive, displaying a desire for transparency and risk avoidance. Importantly, Brink shows that risks can be caused by lack of action, such as withholding information. For public and experts, risk perceptions are built primarily using three factors: 1) degree to which the risk is understood; 2) level of dread; 3) number of people exposed. People use ‘affect heuristics,’ or mental shortcuts, to process judgments about the “positive or negative quality of a stimulus.” The affect heuristic is important in changing perceptions of a hazard, as access to more information can sway perception. Whether risk communication seeks to inform or advocate, it is important to inform early, regularly and with accurate information to gain maintain trust, and encourage desired behaviors from the target audience. 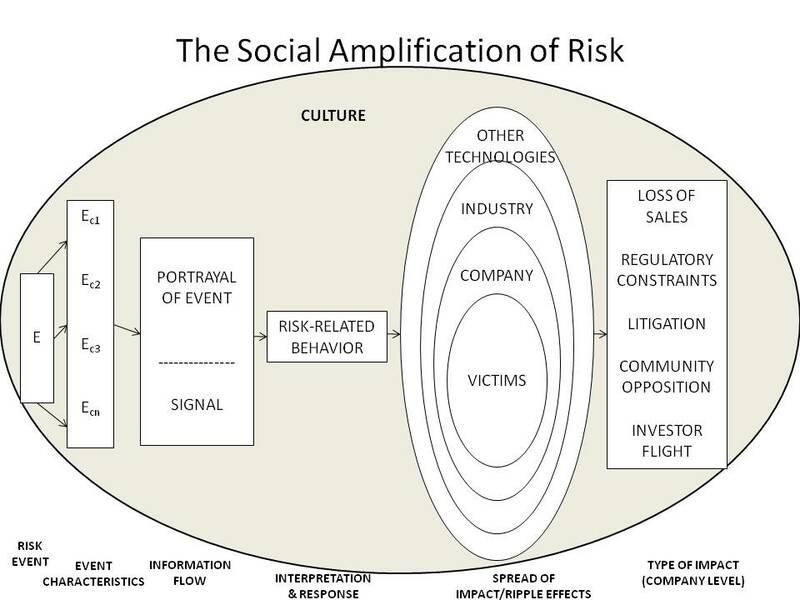 The social amplification of risk framework exemplifies how risk events interact with various psychological and cultural factors in ways that affect public perceptions of risk; the portrayal of an event through different channels including, for example, media, and corporate and government releases can lead to ripple effects which can be more damaging to firms and individuals than the original impact. Adapted from Kasperson & Kasperson (1996). In 2008 and 2013, public health risk events rocked two of the world’s largest dairy companies. Fonterra is the world’s largest dairy exporter, a multinational cooperative owned by more than 10,000 farmers. To expand its networks in China, in 2005 Fonterra signed a joint venture with Sanlu, acquiring a 43% stake. As a state-owned entity with close ties to government officials and China’s former largest seller of milk powder, Sanlu was expected to self-regulate quality control and was not subject to the same regulations as other firms. Moreover, Sanlu was critical to the economy of Hebei Province, employing 10,000 workers. As two of the world’s largest dairy producers combined forces, the reputations of their brands became intertwined while they retained separate operations. The 2008 Sanlu melamine scandal was China’s worst food contamination disaster; until the central government intervened, risk communication efforts were non-existent. The company, which had built up its reputation over five decades, became bankrupt as a result of the scandal. At least 6 infants were killed and 300,000 developed kidney stones due to melamine contamination of infant milk powder. As early as March 2008, Sanlu and the media received complaints about ill children, suspected contamination and performed its own testing. The media was unable to warn the public or probe complaints by parents due to government restrictions on reporting before and during the Olympics. Fonterra was not informed of the contamination by its local partner until a board meeting in August. Shortly thereafter, Fonterra notified local authorities in Shijiazhuang, Hebei Province about suspected contamination but were constrained by other Sanlu board members. When Sanlu refused to recall the products or inform the public, Fonterra contacted the New Zealand government on September 5 to pressure Beijing which then recalled all Sanlu milk powder and embarked on a campaign. The scandal impacted the entire dairy industry, hundreds of thousands of individuals and two national governments. Earlier risk communication efforts and a product recall by the Chinese government and dairy industry actors may have lessened the damage caused by contamination. Risk Perception: Threat to Children Breeds Panic? In both cases, characteristics of the hazard combined with the public’s heuristic thinking, leading to social amplification. In the Sanlu scandal, risk perception factors of understanding, level of dread and number of people affected contributed to a high public perception of risk. The Chinese public was familiar with melamine; in 2007 there was a similar contamination scandal in the pet food sector and in children’s toys. Specifically, the risk to children, close proximity and that it was man-made were important dread factors. Sanlu withheld communication and responsibility as long as possible and influenced media outlets to conceal the risk. In return for suppressing negative publicity, Sanlu purchased NZ$640,000 of advertising on Chinese search website Baidu. Additionally, Sanlu used a public relations executive to act as a reporter; using propaganda techniques, they promoted positive stories of Sanlu. The increasingly decentralized political system in China and Sanlu’s unwillingness to inform the public contributed to poor risk communication. Local officials hid the problem and lacked proper standards and supervision to regulate the industry; officials were informed on August 2 but took no action until September. Beijing announced the contamination after the Olympics ended by apologizing, ensuring communication was transparent, clear and individuals were held accountable. Beijing’s response was to “curb the risks, punish the perpetrators and help victims.” Government agencies enacted a full product recall and punished many of those responsible. But, scores of children were already affected. After the government issued a warning on September 15, and Premier Wen Jiabo embarked on a media campaign in late September visiting sick infants in hospitals, journalists felt safe reporting about the scandal. Impacts of the Sanlu melamine scandal were widespread. Due to compensation claims, Sanlu went bankrupt only a few months later in December 2008; a previously little-known company unconnected to the scandal, Sanyuan, eventually purchased Sanlu. Overall, Fonterra lost NZ$139 million. More than 22 companies were implicated in the melamine scandal, which included other dairy products and eggs. Among other arrests and firings, high-profile punishments included life imprisonment for Sanlu chairman Tian Wenhua and death sentences for three men. In addition to the immediate impacts, consumers lost confidence in the domestic dairy industry, requiring government action. Consumers took weekend trips to Hong Kong to purchase large quantities of infant formula, believing it was safer than those on the mainland. Beijing enacted emergency subsidies to combat further bankruptcies. To repair the industry’s damaged reputation, “local authorities were urged to reinforce technical guidelines on cow feeding and epidemic control.” China’s relatively managed economy with strong state-owned enterprises enabled Beijing to exert influence and rescue smaller dairy farmers. The government also rescued a failed risk communication effort and saved its reputation by prosecuting individuals, being clear about the risk and helping victims. Impacts of the scandal were less immediate and acute for Fonterra because the contamination did not originate from Fonterra’s farms in NZ and the company held a minority stake in Sanlu. Yet spillover effects continue to emerge. NZ Prime Minister Helen Clark publicly criticized Fonterra for mishandling the crisis. Fonterra followed a protocol which put the responsibility on their partners. Delayed notification, number of people affected and desire to expand profits in Asia led to a corporate social responsibility effort. To combat brand damage, the company donated NZ$8.4 million to a Chinese charity establishing rural clinics for mothers and infants. Association with the 2008 scandal has become part of Fonterra’s record, impacting public perception and framing of the 2013 botulism scandal. As early as March and confirmed late July 2013, thirty-eight tons of whey protein were thought to be contaminated with clostridium botulinum, bacteria that can lead to botulism. On August 3, 2013, Fonterra issued a precautionary recall, and countries including China subsequently banned the sale of a range of Fonterra’s products; by the end of August secondary tests showed that the products contained no clostridium botulinum, but instead had clostridium sporogenes from a dirty pipe, which presents no food risk. Fonterra “blamed systematic glitches and the use of non-standard equipment for the botulism contamination scare.” The immediately affected product was an ingredient sold to third parties rather than a finished product, impacting big-name infant formula and beverage. While Fonterra’s August 2013 botulism scandal turned out to be a false alarm, the risk event significantly impacted its international image as well as that of NZ dairy products, leading to a decline in sales and legal suits from customers. The affective association of Fonterra products with harm was readily available in memories due to Fonterra’s connection with the 2008 Sanlu scandal. Botulism was a less familiar hazard for consumers than melamine but because it was new and had the potential to impact infants and children, the risk was perceived as high. Decisions to ban imports of Fonterra products added to the proximity of the risk. The comprehensiveness of Fonterra’s risk communication efforts contributed to conflicting public perceptions of its products. Fonterra amplified the risk by alerting consumers to a problem which did not exist, and the company’s early, forward efforts had mixed reviews. The public felt they were receiving incomplete information from an unorganized source, using inaccessible language; moreover, Fonterra did not apologize until days later. It was unclear how much of the public knew the event was a false alarm. A survey quoted one respondent “That this happened at all was unbelievable. Everyone was taken by surprise and they couldn’t reassure consumers.” Farmers, shareholders and market analysts meanwhile were comforted by Fonterra’s communication efforts and agreed: “They did the right thing going public and the media whipped it into a frenzy.” Overall, stakeholders agreed that communications improved after the first 72 hours of the recall. Despite the launch of four independent inquiries into the botulism scare, public perception of Fonterra products has been altered. The media in both NZ and China maintained significant coverage of the product recall and announcements of potential contamination; however, after the risk was found to be a false alarm, the story only received minor coverage. In China in particular, an unknown portion of the public may still believe the products were contaminated due to lack of closure. However, there is a segment of microbloggers in China that maintain confidence in NZ products and are cynical about their own national media. Because no consumers became ill or died of botulism, the event’s impacts centered on financial and reputational losses for Fonterra and its partners: the NZ dollar declined, the head of Fonterra’s New Zealand milk products business, Gary Romano, resigned, and total damages in the case are still to be determined. In September 2013, NZ exporters claimed they were losing up to NZ$2 million in Chinese sales per week. As a result of the precautionary recall, Fonterra’s supplier Danone, the world’s largest yogurt manufacturer, is suing Fonterra “after an estimated loss of 300 million euros (NZ$407 million) of free cashflow.” Before the Danone suit, Fonterra estimated a loss of NZ$14 million from the event and claimed its legal liability to Danone was minimal. Additionally, Fonterra reduced payouts to shareholders by about 20 NZ cents per share. Widespread publicity of the recall and import bans across Asia due to social amplification impacted companies further along the supply chain and cast doubt on standards in NZ’s largely self-regulatory dairy industry. Among other ideas, Fonterra’s review recommends strengthening crisis communications as well as processes, culture, and governance. Concern for falling Asian consumer confidence in the New Zealand dairy industry led to government action. Unlike the Sanlu case, the NZ government did not have to step in to ensure a recall, but officials were called upon to save Fonterra and NZ’s face due to its premature communication. The initial government report claims the risk event was not due to a failure in the regulatory system but rather a failure in managing the situation. Yet a key recommendation is “establishing a food safety and assurance advisory council to provide high-level independent advice and risk analysis.” Despite currently acceptable standards, the NZ government allocated $NZ8 to 12 million per annum to follow the report’s recommendations to tighten food safety and improve standards and regulations. Decision makers in private and public sectors employ multi-disciplinary political risk analysis to understand probabilities of losses or gains in specific scenarios. Increasingly analysts use the tools within political risk analysis that include risk perception, risk communication and social amplification of risk to build risk mitigation and communication strategies to a more advanced and connected audience. The 2008 Sanlu melamine scandal and 2013 Fonterra botulism scandal exemplify how different organizations approach a risk event, who they identify as their stakeholders and what they consider as responsibilities. A more thorough analysis of this case may examine additional factors including cultural and organizational dynamics. In both cases, perceived risks were amplified by manufacturers and media. In 2008, amplification occurred out of the initial information vacuum created by local officials and Sanlu, a domestic history of melamine poisoning and because children were the primary targets. For Sanlu, risk communication should have occurred at the time of known contamination or confirmed cases; pressure from Beijing, producers and local government meant the public was uninformed. In 2013, Fonterra’s risk communication efforts were early, with multilevel communications reaching shareholders, customers and governments. After the fact, Fonterra sought to understand customers’ risk perception and opinion of communication efforts. The importance of Fonterra to the NZ economy meant the government was interested in a swift, transparent reaction. Undoubtedly Fonterra did not want a repeat of 2008. Fonterra in the short term must deal with economic losses and potential brand damage; however the global recall and communication efforts may be perceived as beneficial for public health concerns especially when compared to Sanlu’s experiences. Ragnar Lofstedt and Asa Boholm, “The Study of Risk in the 21st Century,” in The Earthscan Reader on Risk, ed. Rangar Lofstedt and Asa Boholm (London: Earthscan, 2009), 11. Charlotte Brink, Measuring Political Risk: Risks to Foreign Investment (UK: Ashgate Publishing, 2004), 1. Paul Slovic, “Perceptions of Risk,” in The Perception of Risk, ed. Paul Slovic (London: Earthscan, 2000). Slovic, Paul, Melissa L. Finucane, Ellen Peters and Donald G. MacGregor. “Risk as Analysis and Risk as Feelings: Some Thoughts about Affect, Reason, Risk, and Rationality.” Risk Analysis, Vol. 24, 2 (2004). 312. Slovic, “Perceptions of Risk,” 222. Regina Lundgren and Andrea McMakin, Risk Communication: A Handbook for Communicating Environmental, Safety, and Health Risks (New Jersey: John Wiley & Sons, Inc., 2009). Duoqi Xu, “Tax Planning and Tax Policy in China: Case Study of the Tainted Milk Scandal.” Frontiers of Law in China. June, Vol. 6, 2 (2011): 192-218. Danielle Castellino and Lelia Green, “Media freedom in China as reflected in the development of the Sanlu milk scandal, 2008,” Australian Journal of Communication, Vol. 37, 3 (2010): 88-102. Castellino and Green, “Media freedom in China,” 96. E.Y.Y. Chan, S.M. Griffiths and C.W. Chan, “Public-health risks of melamine in milk products.” The Lancet; October 25, 372 (2008): 1444. Castellino and Green, “Media freedom in China,” 92. Xu, “Tax Planning and Tax Policy in China,” 194. Xu,“Tax Planning and Tax Policy in China,” 194. Elizabeth Wishnick, “Of Milk and Spacemen: The Paradox of Chinese Power in an Era of Risk.” The Brown Journal of World Affairs, Spring, 15, 2 (2009): 213-214. “Report of WPC80 Independent Inquiry for Fonterra Board.” (10/23/13), 147-149. “Report of WPC80 Independent Inquiry,” 147. Xinhua News Agency Economic News. “Interview: Minister assures Chinese consumers of New Zealand food safety.” (12/11/2013) Xinhua Economic News. 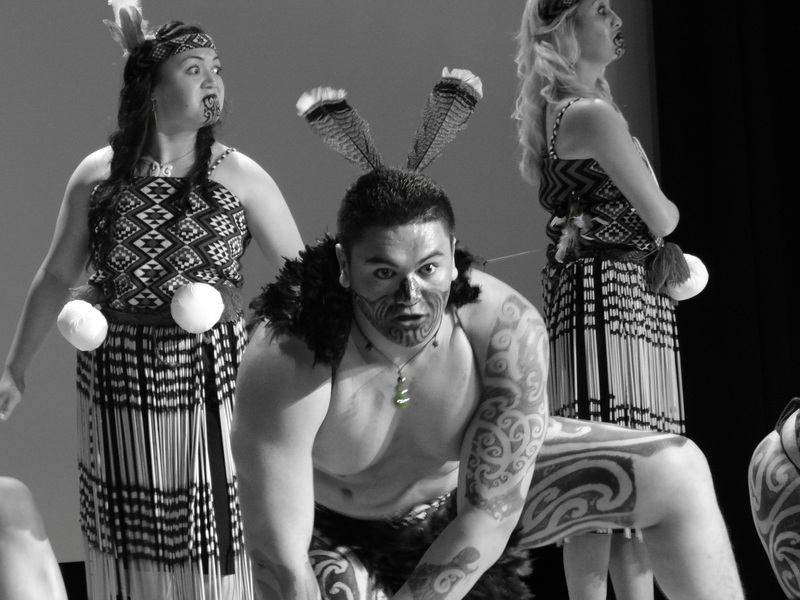 On the evenings of July 1 and 2, Māori language and culture was showcased at the Smithsonian National Museum of the American Indian. 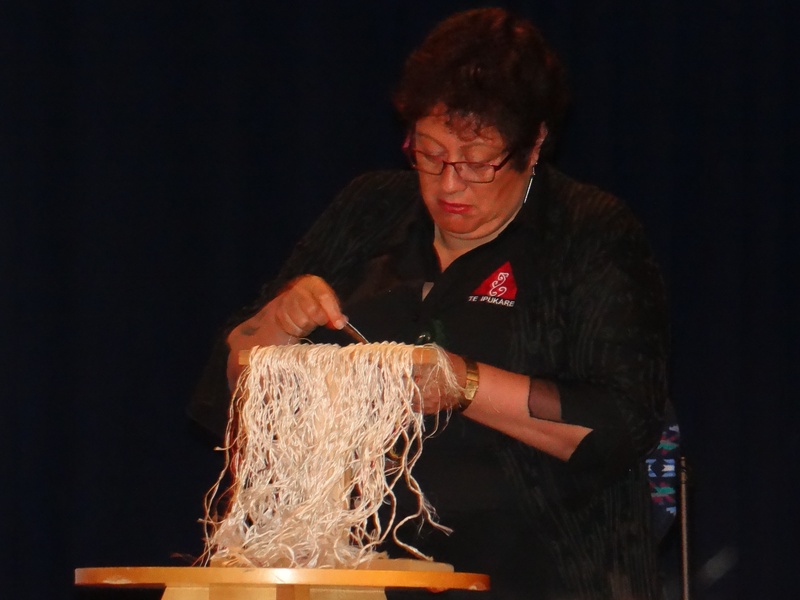 The International Centre for Language Revitalization at AUT University hosted a symposium entitled: “Māori Language Revitalization in Aotearoa / New Zealand.” On evening two, the event focused on demonstrations of the bond between Te Reo Māori and actions such as tāniko (finger weaving) and tā moko (tattooing). 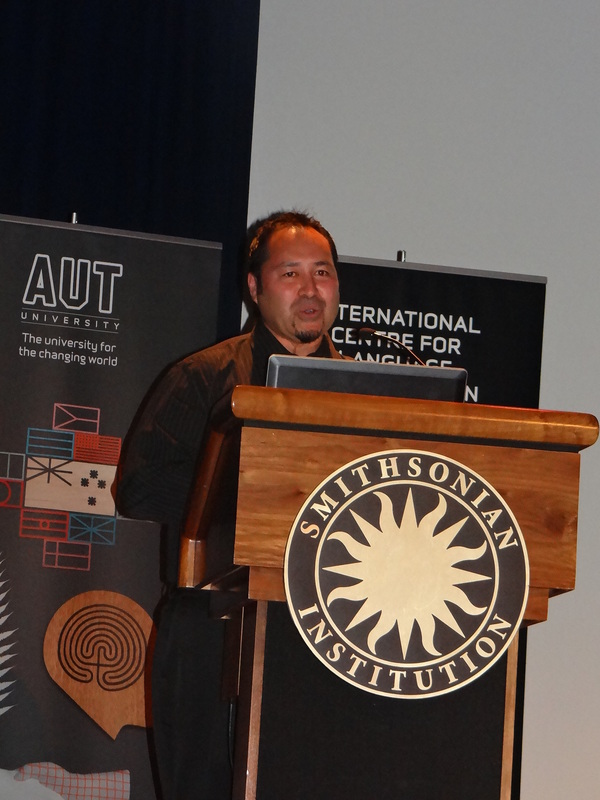 In addition, Valance Smith from AUT University presented on the topic of Mana Waiata – Māori language potentiality within contemporary Māori music. 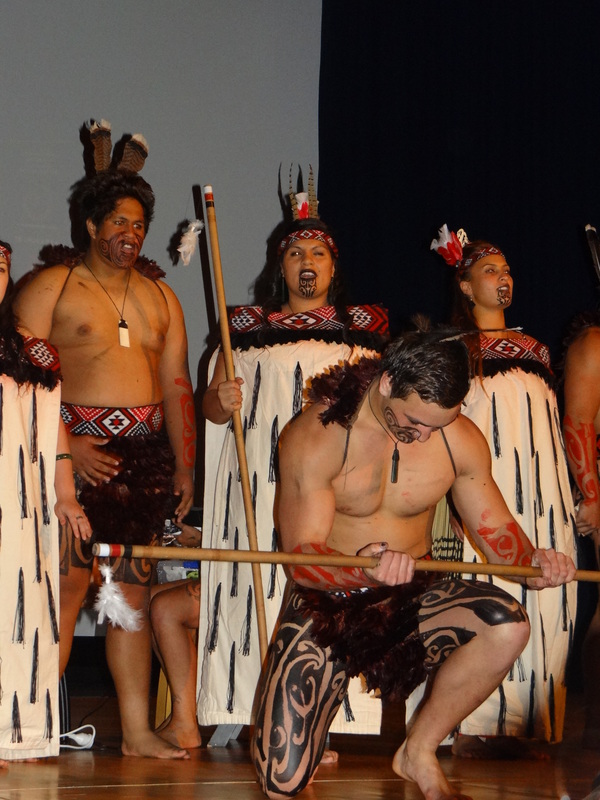 Presentations were supported by the Poutama Māori Performing Arts Group. 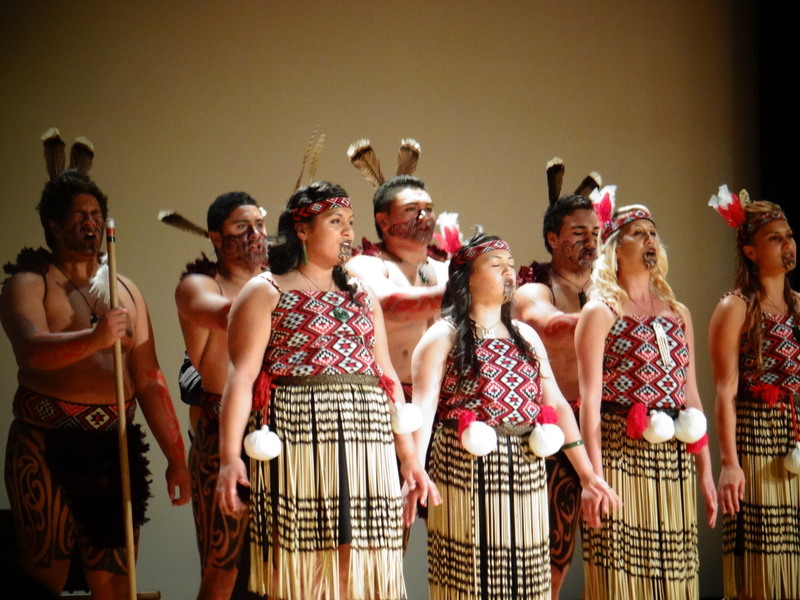 The symposium was a side event of the One World, Many Voices: Endangered Languages and Cultural Heritage program at the 2013 Smithsonian Folklife Festival, and fell during New Zealand’s Māori Language Week – Te Wiki o Te Reo Māori. In several speeches in Washington last year, Former Assistant Secretary of State Kurt Campbell emphasized that a demonstration of US commitment to the Asia-Pacific was to “physically show up” for bilateral and multilateral dialogues. Hillary Clinton embodied that policy when she became the most widely traveled Secretary of State in US history. 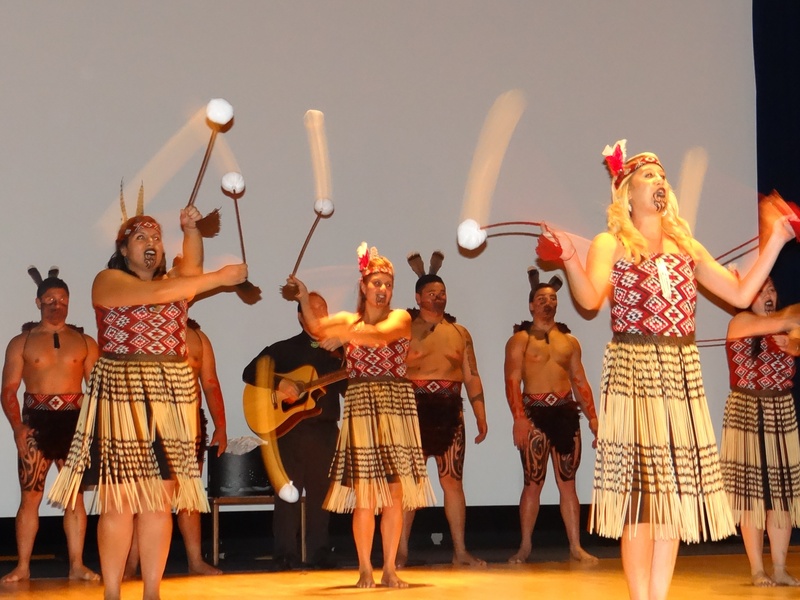 Similarly, the New Zealand government – and industry – has continued to show its commitment to US strategic, cultural and political ties particularly since the signing of the Wellington Declaration in 2010. 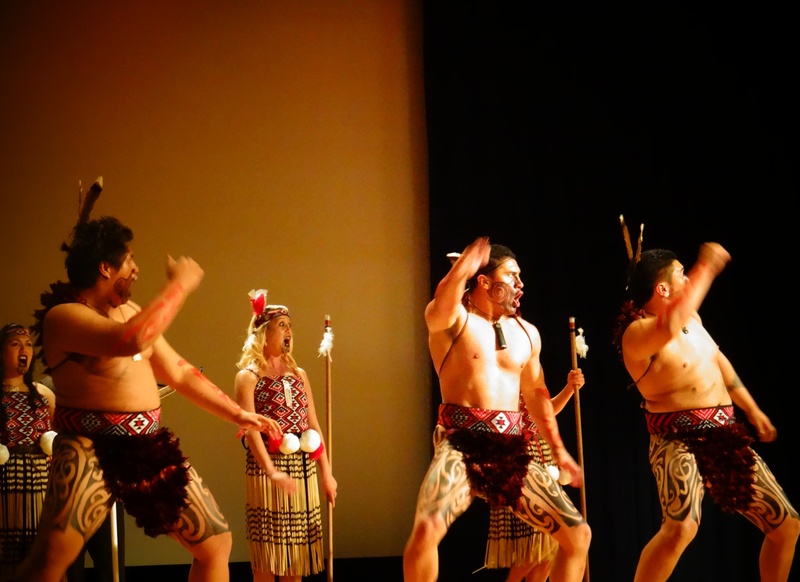 As a Future Partner, I attended the US-NZ Council Pacific Partnership Forum held in Washington, DC, May 19 to 21, an example of an event that builds understanding between the two nations. Because the US and NZ have a multi-faceted relationship, direct and open dialogues such as the latest Partnership Forum that involve multiple sectors and actors continue to be the best way to move the relationship forward in the interests of both states and peoples. To exercise ‘smart power,’ states should take advantage of grassroots innovation and incorporate open forums to inform foreign policy. In supporting the bilateral United States-New Zealand relationship, ministers, secretaries and other government officials have made no stranger of each others’ countries over the last several years. Former US Secretary of State Hilary Clinton, Former Secretary of Defense Leon Panetta, and Secretary of Homeland Security Janet Napolitano were a few high profile visitors to NZ. In return, Prime Minister John Key, Minister of Foreign Affairs Murray McCully, and Minister of Defence Jonathan Coleman have visited the US. Those visits culminated in the signing of the Wellington and Washington Declarations strengthening strategic and political relations, and the signing of joint statements related to immigration, human trafficking and border security. While in Washington last week for the Forum, Minister McCully met with US Secretary of State John Kerry in a productive discussion that included the Middle East peace process, and the New Zealand Treasury team met with their American counterparts at the Department of Treasury. A recurring message throughout the Partnership Forum was that while New Zealand and the United States once had strong differences in security policy, now the relationship is “excellent” and seemingly better than ever. While the contents of this statement were not disputed, the desire to reminisce about the bad times in the relationship engendered negative reactions from US Ambassador David Huebner and several New Zealand officials. 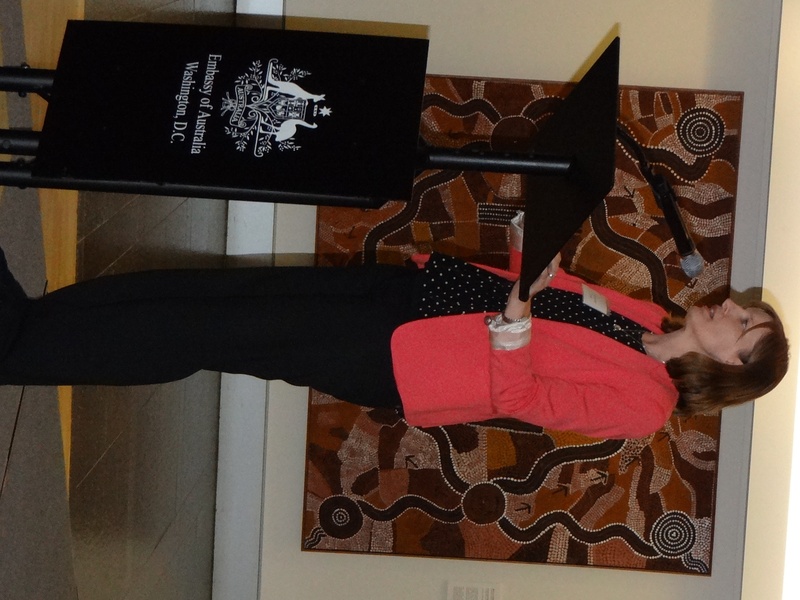 In a speech to Future Partners, Ambassador Huebner called on the new generation of leaders to be innovative and to move past old rhetoric. Former and current bureaucrats such as Stephen Jacobi and John Allen however were quick to remind Huebner that the ‘old guard’ has played a pivotal role in reshaping the bilateral relationship and remains a critical part of stable relations. 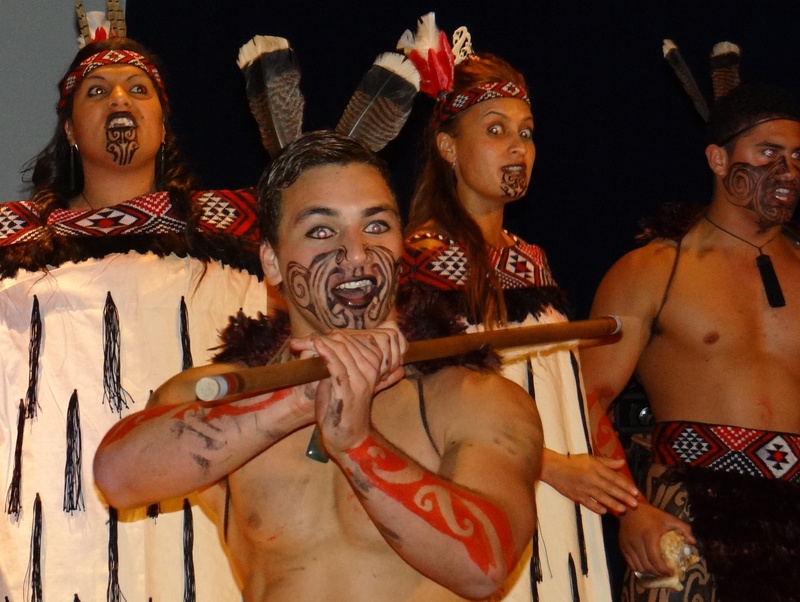 Without understanding at least parts of the shared history of the US and NZ, one would not be able to appreciate the ostensibly open dialogue as well as playful banter that currently occurs. Future Partners from both NZ and the US were strong participants of the Forum, with at least one delegate causing a stir with her challenge of mainstream views of the Trans-Pacific Partnership trade deal. For the bilateral relationship, perhaps more valuable than the policy talk at the Forum was the people-to-people exchange. About half of the forty Future Partners delegates selected were former Fulbright Scholars. The Fulbright Program, university study abroad programs, People to People, and a multitude of other education and sports-related exchanges continue to have a major impact. Between the US and NZ, soft power is a much more valuable tool for both sides to build mutual understanding from the bottom up. International relations can be about more than states as actors if individuals and businesses are given an equitable platform to exchange ideas and opinions alongside government. 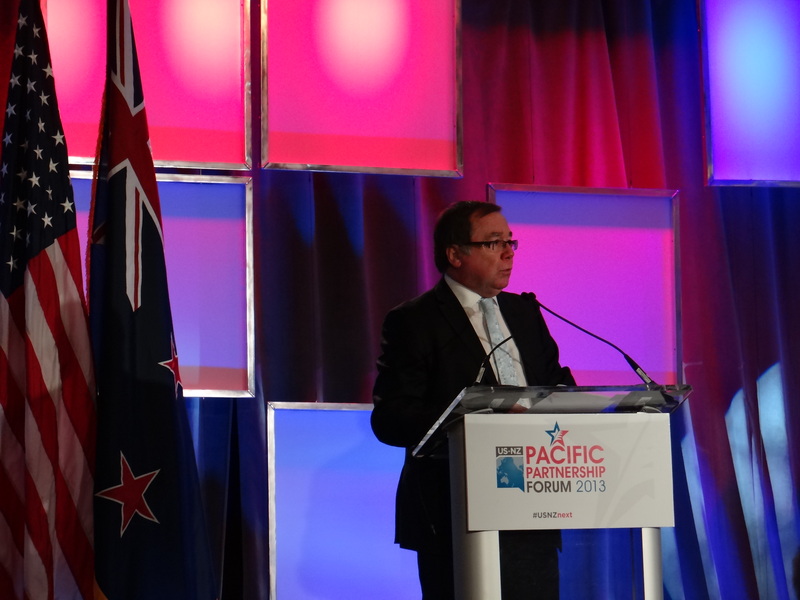 As an exercise that includes all sectors, the US-NZ Pacific Partnership Forum enables government officials, industry and even young professionals to meet with their international colleagues. While the issues of sustainability and resilience were discussed, missing from this year’s Forum agenda were topics of collaboration on mitigating Climate Change and additional development topics related to renewable energy in the Pacific. 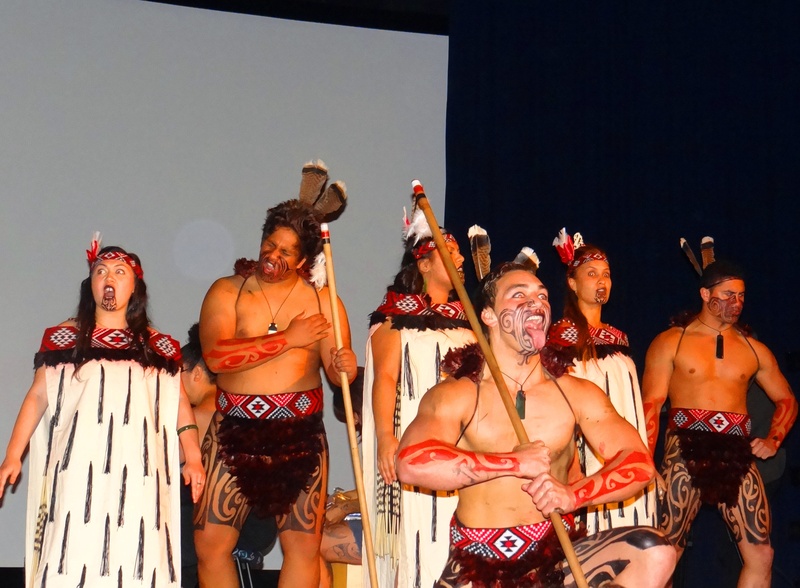 With the next Forum to take place in New Zealand, one hopes that the event continues the trend of being an open dialogue that enables participants to shape ‘what’s next’ for US-NZ relations. Last Saturday, US Secretary of Defense Leon Panetta left for his third trip to the Asia-Pacific this year, scheduling stops in Japan, China and New Zealand. Panetta’s visits to Japan and China are attempts to smooth relations between the states, and the trip to New Zealand is a follow-up from the visit earlier this year to Washington, DC by NZ Defence Minister Jonathan Coleman. The trip will be the first time in 30 years that a US Defense Secretary has visited New Zealand, and marks a change in regional strategic dynamics. A critical part of the Obama Administration’s rebalancing in the Asia-Pacific includes repairing and deepening strategic relationships with New Zealand (among other smaller and medium-sized states) and to sustain opportunities for regular, high-level dialogue. While New Zealand does not have a sizeable defense force to contribute to US-led operations, the small democracy is a valuable ally that can serve as an ‘honest broker’ and voice of legitimacy in the Asia-Pacific. Pivoting for the Pacific’s Sake? Not Likely. Recently, New Zealand has received undue attention from American diplomats and cabinet secretaries because the US has much to gain politically and economically (if not militarily) from the bilateral relationship. 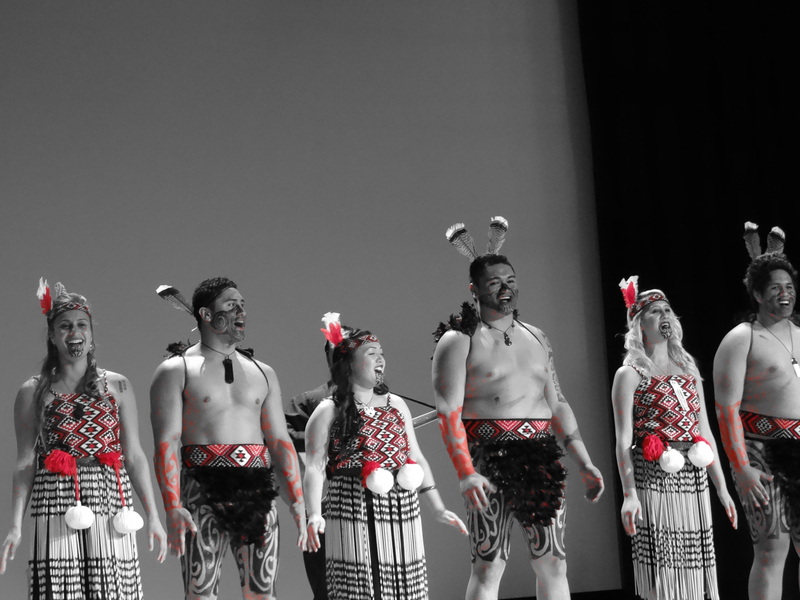 Whether the National or Labour Party is in government, New Zealand has a reputation both regionally and internationally as a state with a strong pacifist orientation that advocates for its values and the wellbeing of its Pacific neighbors. 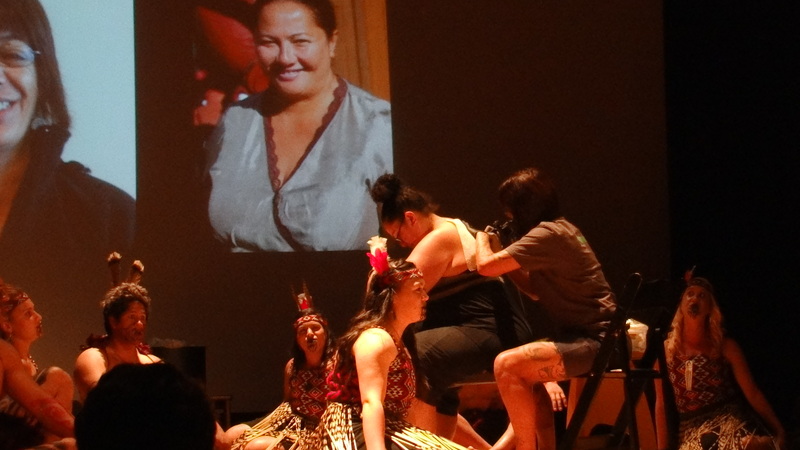 As a founding member of and voice within the Pacific Islands Forum, New Zealand can be a significant agent for American interests during the leaders’ meetings. Moreover, New Zealand’s promotion of US naval patrols, development assistance, trade relations, diplomatic connections and so forth would enable the US to exercise greater power projection in the region. The 1984 Labour government’s nuclear-free announcement reflected in part New Zealand’s continuous desire for an independent foreign policy based on “conflict avoidance and resolution, humanitarian assistance, human rights, and environmental defense.” The declaration prohibiting American nuclear ships from their ports was a policy move that was necessitated by public opinion and new Labour supporters and representatives. Since its proclamation, the nuclear-free policy has been largely nonpartisan. While the strategic dimension of US-NZ relations faltered from the 1980’s, it never disappeared, and was supplemented by intelligence collaboration. In addition to a strong commitment to special forces training and deployment (particularly the New Zealand Special Air Services), the intelligence-sharing between the US and New Zealand has remained significant since 1946. Despite disagreement with the US government over the invasion of Iraq, intelligence sharing remained consistent. In fact, after 2001, New Zealand increased its intelligence budget by 30 percent while decreasing its overall defense budget. Maritime defense, domain awareness, and disaster rescue operations are essential areas of mutual concern for New Zealand and the US in the Pacific, particularly given the Christchurch earthquake, China’s soft loans to Pacific island nations, and overfishing. For the first time in 28 years, the New Zealand Defence Force participated in the Exercise Rim of the Pacific (RIMPAC) in July-August, the largest international maritime exercise. Interoperability is a key component of the Obama Administration’s foreign policy in the Pacific, and as Nathan Smith writes, the exercises served both diplomatic and more practical purposes for New Zealand and Australia. Security concerns for New Zealand focus on the sea lines of communication due to heavy reliance on maritime trade; the country’s small blue-water navy is primarily geared for search and rescue and maritime interdiction. Despite not being allowed to berth ships in Pearl Harbor due to the nuclear-free policy (in contrast to former foes Japan and Russia), Kiwi sailors did not seemed fussed, and took advantage of the nightlife offered by Honolulu. As we have seen through the signing of the Wellington and Washington Declarations, the current National Government is in agreement with the Obama Administration’s Pacific rebalancing. Moreover, the close relationship between US Assistant Secretary of State Kurt Campbell and NZ Ambassador to the US Michael Moore, and the work US Ambassador to NZ David Huebner has done in Wellington are examples of peoples and governments that seek mutual benefits and understanding. A question that NZ Defence Minister Coleman will face in meeting with Secretary Panetta is how much more New Zealand will be able to commit to the bilateral relationship without sacrificing its ideals. There will almost surely be a small demonstration in Wellington during Secretary Panetta’s visit about the TPP, or anti-US policies led by local anarchists from Aro Valley, as there is during most high profile visits. However, in most cases it seems that the New Zealand government knows when and when not to compromise on foreign policy issues, with bipartisan support for free trade agreements. New Zealand can leverage an improved defense relationship with the US to secure better terms for the Trans-Pacific Partnership Agreement (TPP) and other future trade agreements (including a potential US-NZ FTA as sought by New Zealand). The latest negotiation terms for the TPP are not public; however controversial public issues being debated concern intellectual property rights and copyright law, both of which have been met by public protests and contestation from New Zealand and Australia. If the US gets what it wants in terms of defense initiatives, it may soften some of the demands of the TTP and open a path to a US-NZ FTA. Setting the nuclear-free policy aside, both National and Labour governments have been fairly amicable to US defense relations. So what more could New Zealand gain from a “stronger and deeper bilateral defense relationship” as set out in the Washington Declaration? With both sides facilitating the establishment of “regular, senior-level, strategic policy dialogues between the US DoD and NZ Ministry of Defence and NZDF,” New Zealand can not only legitimate the US strategic involvement in the region but can continue to bolster its own authority. 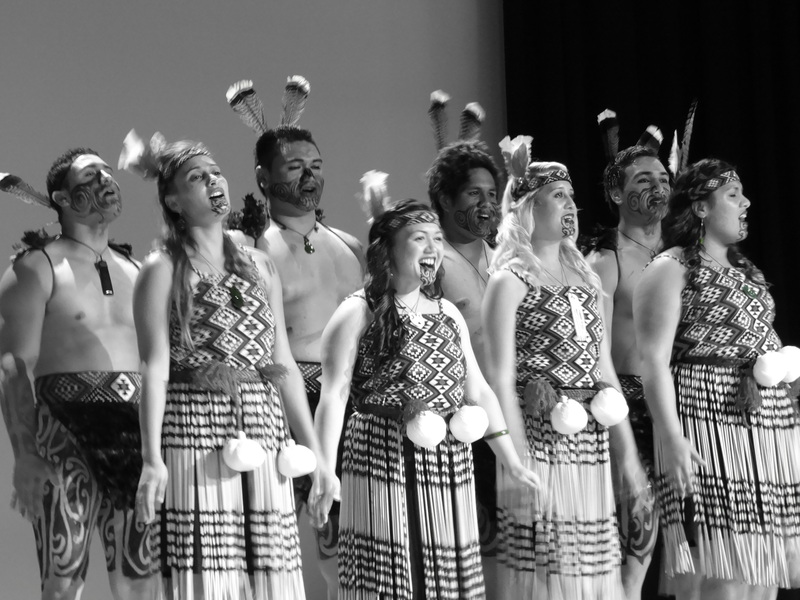 Welcoming perhaps the strongest ally with shared values and democratic ideals can serve to boost Kiwi clout and spur domestic confidence. 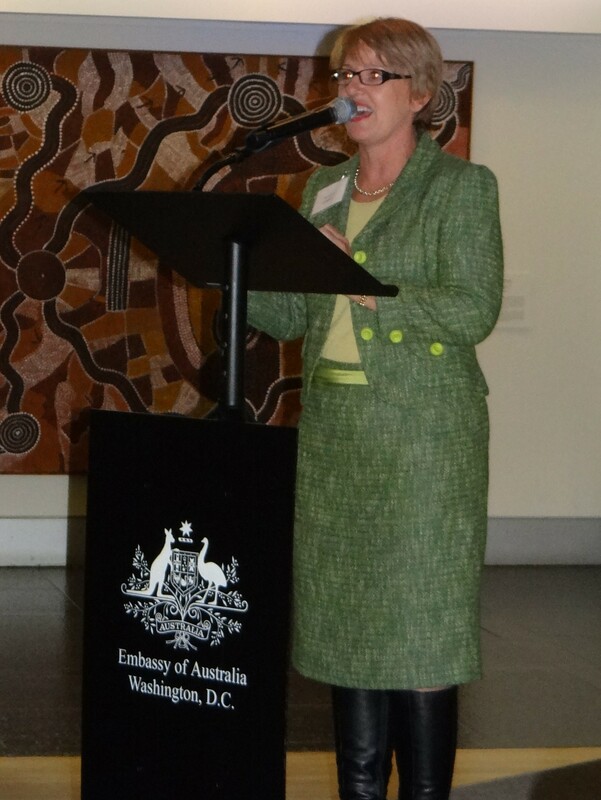 Development assistance in the Pacific is another area of mutual interest with opportunity for growth. Australia provides half of all official development assistance to Papua New Guinea and Pacific island countries (AUD$1.17 billion) and New Zealand spends more than half of its country programs budget on Pacific island countries. At the latest Pacific Islands Forum, the US showed that it is ready to lift a portion of the development aid load in the Pacific; US Secretary of State Hilary Clinton announced $32M in new aid programs 18 years after ending such programs in the Pacific. As former Director of the Central Intelligence Agency, Secretary Panetta should be attuned to the value that New Zealand provides as a voice and ear in the Asia-Pacific. One Kiwi commentator wrote that New Zealand should be weary of his arrival in the country, and that the US will ask too much from Kiwis. However, the RIMPAC ship porting issue notwithstanding, strategic and diplomatic relations between the US and New Zealand have moved forward since 2007. Leadership of both states are keen to return to an era of stronger defense ties to help guarantee their security and to enhance stability in the Pacific. Having met already this year in Washington, DC, the meeting this week between defense bosses is likely more of a touch point to ensure regular high-level dialogue occurs. With the Washington Declaration in place and successes to build on from the past year, the additional avenues for deepening defense cooperation may be limited but may be milestones nonetheless.